Since its introduction, the current generation Mazda6 has always remained a top choice among driving enthusiasts. That's because it's one of the few cars left in its class to still offer a manual transmission, next to the Honda Accord. But sadly, it seems even that's going to disappear for the 2019 model year update. CarsDirect originally heard through the grapevine that the Mazda6 sedan will be losing its standard six-speed manual while gaining some new safety tech. At Mazda we are always listening to our fans, especially when it comes to what they are looking for from our vehicles. As we have moved the Mazda6 upscale with the launch of the Grand Touring Reserve and Signature models, we have seen less demand for a manual transmission option. We continue to support enthusiasts who enjoy driving with a manual transmission in the all-new 2019 Mazda3 Premium Hatchback model, and of course the ever iconic MX-5 Miata. As sad as this may be, it actually does not come as much of a surprise. 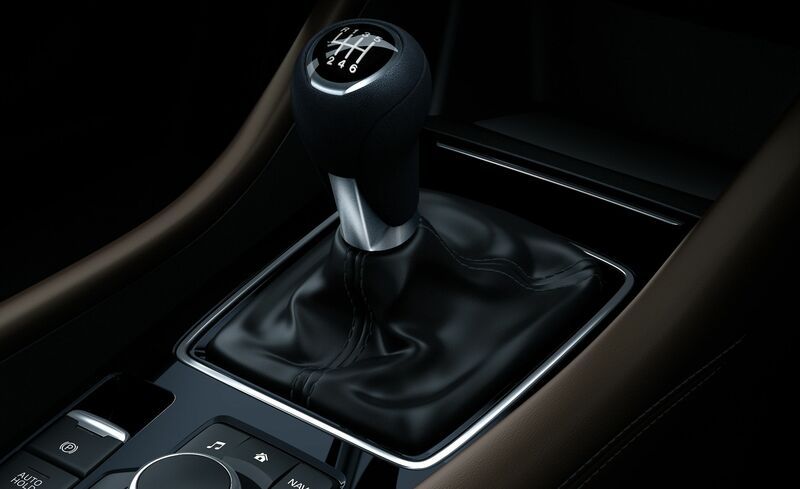 As automatic transmission technology has evolved, manuals have simply become more obsolete. Additionally, the take rates for manuals in mainstream automobiles, especially one aspiring to go upmarket, continues to be on the decline. And it was easy to see this coming, since for 2018 the manual could only be had on the base trim of the Mazda6 anyway. So scratch one more model off our list of cars you can still buy with a manual transmission. To offset the deletion of the manual, the base 2019 Mazda6 will include more safety tech. For instance, the entry-level Sport trim will now come with i-Activsense safety technology as standard, bundling automatic emergency braking assist, lane-departure alert with lane-keep assist, automatic headlights, and radar-guided cruise control with stop-and-go capabilities. But it doesn't stop there, as the standard options list also includes automatic rain-sensing windshield wipers and Mazda's signature G-Vectoring Control Plus that originally debuted on the high-powered Mazda6 Turbo model only. This, of course, increases the price of the base 2019 Mazda6, by $1,875. Previously, i-Activsense was a $625 option, while it cost $1,050 to replace the Mazda6's standard six-speed manual with a six-speed automatic. Prior to the 2019 model year, if you added those options to the base model, the price difference with the incoming and updated 2019 Mazda6 would only be $200. The stick shift was only available in the base trim for 2018 which no one wanted. That said it’s not like it would have sold any better in a higher trim. The journalistic lamentation of manual deletion from cars never ceases to simultaneously amuse and bore me. Can you be amused and bored at the same time? That's a paradox. It wasn't just about the top of the dash. Or stroking it. It was just the overall feel inside the cabin. Everything was fine until you looked at the dashboard. This from a guy who's only manual vehicle is an Element purchased with no fluid in the trans trying to convince everyone that manuals are no fun. I'm not trying to convince anyone of the sort. I said I didn't find it any fun. That's not even what I was getting at anyway. Does anyone actually care that you can't buy a manual Mazda6 anymore? People barely buy the things with automatics. Last edited by VarianceVQ; 03-28-2019 at 08:27 PM. Oddly enough, Mazda had already dropped the manual in Canada for 2018. I say oddly enough because they tend to offer more manuals in Canada,. Before 2018, every trim level of the 6 was available with a manual. "Save the manuals" is nothing but a meme at this point. Nobody cares, really. And by nobody I mean 99.997% of car buyers do not care about the transmission, Nissan's sales numbers with that bull**** CVT are a perfect example. The cars that are "undeniably better" with a stick shift are still available with a stick, hell some are even stick only such as SI's and Type R's. We need manuals like we need another hole in the head, and the way the industry is going with all these safety nannies and gadgets that are incompatible with manuals and laws forcing them standard as time goes on even cars like the Miata and GT 86 arent safe for long. Here we have exhibit #1 on why manuals are being removed from most mainstream vehicles. Manual buyers tend to be picky on body styles, trim levels, options, and exterior colors. It's like "ohhh I have cash in hand for a manual Mazda6 but only if it comes in wagon form with cloth ventilated seats without seat heaters and in phoenix metallic puke brown!" you're probably right, unfortunately. I still think there is big enough demand to offer them, and if manufacturers cheat on their diesel exams, they can find a way around the safe BS and still offer a manual. Maybe we'll start seeing a boom of kit cars and low production sports cars that can get around the safety bs. Who knows. I feel its so pointless to offer gas-powered boring cars. Might as well go electric at that point. Any car which holds together for a whole race is too heavy. Are you married and/or have children? Thank you. I'm also so freaking sick of the trope that "driving a stick will save us from distraction!" There is 1) no proof that is true, and 2) the power of keeping socially connected could easily overpower the physical hassle of needing a hand to shift every now and then. Is it that drivers who are already on average less-distracted/more engaged choose manuals (and trumpet their lack of distraction) or is driving a manual actually making manual drivers less distracted on average due to more required regular "engagement"? I agree. The other issue is that a lot of the everyday cars with a manual (6 and Accord) aren't geared for fun, and fun is pretty much the only reason to get a manual these days. A redline 1-2 shift shouldn't trigger a mental sad trombone. Or is it bull**** enthusiasts pipe in when trying to present an argument about manual superiority? 17 Focus ST2, 90 RX7 vert, Accord 6-6 sedan, 96 Montego blue Miata. To be fair, most enthusiasts don't want a base model, base engine sedan stick or not. Even with a great product like the Mazda6, which should have had the turbo engine at launch. The 1G Mazda6 (and the last 4 generations of the accord, albeit only on the coupe for the 8G and 9G) could get a manual on the more powerful engine-which usually begets additional features like better seats/audio. Typical forum guy with busted third-hand cars. I like this guy, I like this guy a lot. Does anyone actually care that you can't buy a manual Mazda6 anymore? People barely buy the things with automatics. This is my feeling as well. I mean, from a very broad perspective, it's disheartening that manual car options are going away. But the pragmatist in me doesn't really care because I've never considered a 6, I don't have a plan on considering one, and the car itself doesn't sell well. And frankly, if I was to get a Mazda 6, it would be a household car, which would mean I'd probably end up with the auto anyway. The cars that I actually have a desire to own---sporty/performance cars---are still available with a manual. I will be bothered if something like the next gen M3 doesn't end up getting a manual, however. I know there's been some grumblings that such a thing will occur, but I will hold out hope for the official reveal and associated info about the level of content.
. Does anyone actually care that you can't buy a manual Mazda6 anymore? People barely buy the things with automatics. Yes and no. The car I'm not interested in. The problem though is this is one more example of how the elimination of manual transmissions is growing like a cancer. Count me among the numbers who would have bought the Manual if it had come in the trim level I wanted. I wanted a Touring, so auto was the only option. Good move on their part, reduce complexity in the line. They won't miss those 25 sales too badly. Manual transmission enhances attention and driving performance of ADHD adolescent males: pilot study. I believe driving a manual does help, albeit slightly. But I'm biased. Last edited by Beanboy; 03-29-2019 at 09:35 AM. The manufacturers and more importantly dealers know. The heyday of manuals was a time when automatics sucked. Now, objectively at least, they are better. More fuel efficient, more compatible with safety and convenience features, most likely lower maintenance as well (the days of auto transmissions burning up and dying seems to be over). I would also love some more cheap options. I think in the coming years I am going to drop $15-20K on a fun/project car. The way I see it, if manufacturers can make side-by-sides and Ohlins equipped motorcycles for ~$15-20K a real bare bones performance car should be doable for that much. If they come up from the motorcycle/ATV realm rather than trying to strip down cars I think they can do something. Mazda 6 Sport VS. Honda Accord LX 4dr: Which has the better manual transmission/clutch? Any insiders know if Mazda will ever come out with a CX-5 2.5 w/ Manual Transmission? 2014 Mazda 6 available with manual transmission on Touring model or not?